Successfully Added Floating Photo Frame for 3.5 x 5 Inch Pictures to your Shopping Cart. A very cool and unique way to display you photos, this magnetized base and photo frame will float your 3.5 x 5 inch pictures in mid air and rotate them around. Simply place any standard still picture in the frame, place the frame in the center of the base after plugging it in, and when you feel the frame not being tugged up or down it will float all on its own. 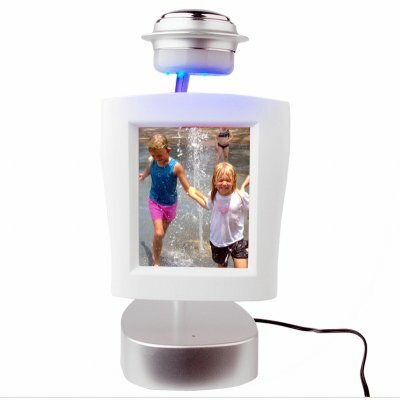 Really display your still photographs in style and wow all your friends with this one of a kind desktop picture frame. A great wholesale price makes this product perfect for the resale market, OEM market, or personal use. As always, it is available direct to you from the original source for wholesale direct from China electronics, Chinavasion.